LifeShield provides four layers of backup to ensure protection no matter the circumstance. As time goes on, criminals become more savvy and alert. 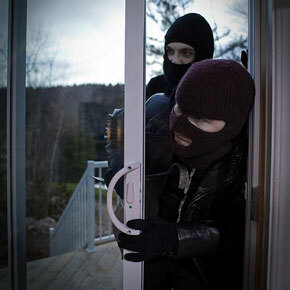 Depending on their level of interest In your home, they may go as far as cutting phone or Internet lines to your home to disable an alarm system. The LifeShield system can combine the use of the Internet, a cell phone, a landline and a battery backup system, creating the most comprehensive protection available. Your connection with LifeShield’s monitoring service remains even in situations when the power is out or when an attempt to sabotage your system is made. 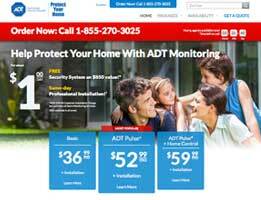 At $29.99 a month, the Value Package is the most basic package LifeShield offers and includes 24/7 monitoring of your home using a remote and interactive system. A keychain remote lets you activate and deactivate the alarm from your driveway or garage. At $35.99 a month, the Gold Package also includes a special fire safety monitor that is placed on the ceiling or wall and when a fire alarm is sounded, the sensor will activate an alert to LifeShield monitors, allowing them to contact emergency help whether you’re home or not. A similar sensor is available for the monitoring of carbon monoxide. And at $40.99, the Platinum Plus Package adds video access to the mix. 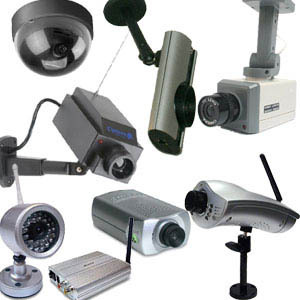 A video camera allows for the monitoring of your home via a live streaming video available on the Internet or the app on your smartphone. Every package includes web-enabled monitoring and mobile system control from a smartphone called Life View. LifeShield systems use a portable in-home tablet rather than a wall-mounted control panel. This portability allows you to either leave it in one place or carry it around with you. Some customers feel better having the controls to their alarm and the capacity for instant communication with LifeShield at all times and keep their tablets on their nightstand at night. The interactive Life View can be accessed from the Internet or through an app on your smartphone. Medical monitoring is a free part of every package LifeShield offers. In addition to a standard panic button, LifeShield offers a portable panic button and a panic button on the mobile device application. Unlike many home security companies, LifeShield doesn’t charge extra for this equipment or service. It is inexpensive to begin security coverage with LifeShield because it does not charge you anything for equipment, only the low $49.99 activation fee. All three packages include remote access through Life View, by way of either the website or an app on your smartphone or tablet. 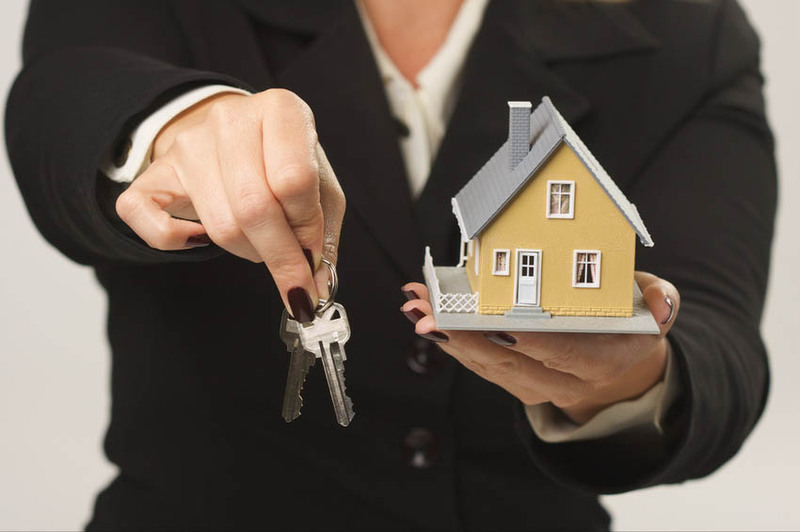 LifeShield has three comprehensive and valuable options available for homeowners seeking a home security system with additional monitoring services. Thank you for reading our LifeShield Security reviews. Lifeshield is different than most companies, which is why I was drawn to it in the first place. The monthly fee is for a service that monitors the not only the alarm but also provides fire monitoring too. I was impressed with the ability to utilize my system with the electronic app too. It makes life much easier to be able to work from my smartphone. Lifeshield has the best rates for the best coverage in my opinion. 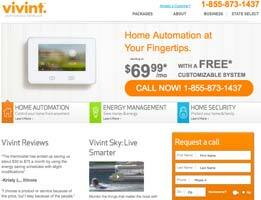 It is easy to use and the customer service is great. Not many people have heard of the company so I want to try to help get its name out there. The customer service is great and I am so glad my neighbor recommended it to me. Although LifeShield is not as well known as some of the other, larger companies, it still provides the best rates and plan! My sister got a Life Shield system after an attempted home invasion at her home a few months ago. She told me it was very easy and not intrusive but I was hesitant. After checking out her house and the lack of wires and holes, I decided to call Life Shield. 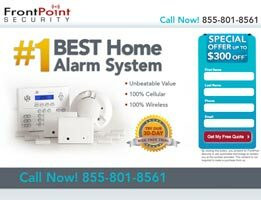 For less than $30 a month, I receive an alarm system as well as fire monitoring (a service most companies charge extra to do). I am a very satisfied customer. I almost never write reviews but I felt I had to this time. Look no further, lifeshield is all you need. All the other companies I looked at wanted lots of money down to have them come into my house and put their system in. I am fine signing a contract for monitoring since I know an alarm system is only as good as the monitoring. Lifeshield is reasonable and I am very happy with my decision. My friends all used the LifeSheild Security and I wanted to get in on the action. They all said it was the most reliable one on the market, and thus far I totally agree with them. The LifeSheild Security saved me and my family from a robbery. This is a big deal no matter who you are. I have to say thanks again to the LifeSheild Security for keeping everybody in my home safe. The sooner you learn more about the LifeSheild Security the better off you are going to be. There is no reason that you should continue to wait around, hoping that nothing bad happens at your home. You may think that everything is okay, but you should always be protecting your property against the worst of the worst. There are a lot of positives that come from installing the LifeSheild Security, including the fact that you are going to be able to sleep better at night. For the price, there is not a better system on the market. I like that Lifeshield lets you login from anywhere with an Internet connection. I can just use my phone to make sure my family is OK and not all home security systems enable you to do that. 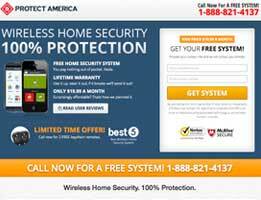 I never thought home security systems could be all that great but with Lifeshield I have been proven wrong. 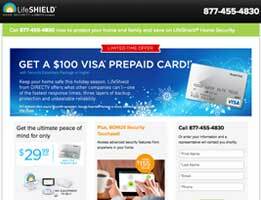 I am using Lifeshield for my small business. 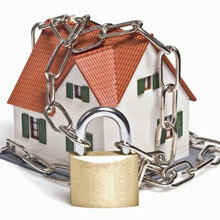 It isn’t a big space, but it is in a bad area that frequently experiences break-ins. Though we don’t have any cash on site, people will steal anything these days and I don’t want my employees to feel threatened because a bum with a gun tries to steal metal to sell. It is ridiculous but with the Lifeshield motion sensors the alarm sounds and we know someone else is on the premises since we never leave the interior of the building during the normal work day.